Tickets are only available on the door. Over 18’s only. Assistance dogs only. 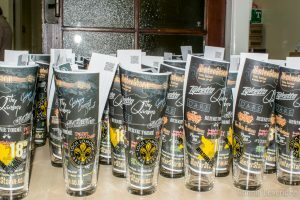 Price includes a free commemorative festival glass (pint or half pint) and festival programme. Free re-entry at all sessions by bringing back this year’s glass. This year we are using token cards for the purchase of beer instead of cash at the bar. Cards cost £10 each and can be purchased on the door, and at several locations within the venue. Chip/Pin contactless machines will be available for payment. 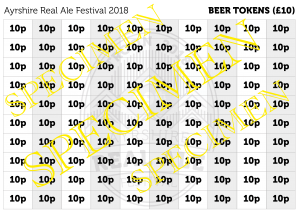 Full refunds will be given on any unused portions of the token cards. Alternatively, if desired, unused amounts may be donated at the end of your visit to our festival charity – Breast Cancer Care.